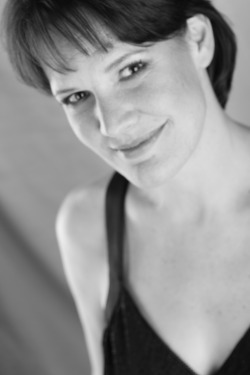 Jennifer Anne Cooper, a southern Maryland native, offers a dynamic variety of skills as a performer due to her experiences as a professional opera singer, musical theater and improv artist, jazz/cabaret peformer, and leading lady in an autobiographical one-woman show. Her years in the world of opera landed her in principle roles with prestigious companies including L'Opera de Montreal, Florida Grand Opera, Glimmerglass Opera, Chautauqua Opera, Michigan Opera, Delaware Opera, Opera North, etc. Jennifer's more recent endeavors have placed her in more intimate venues where she serenades the smaller masses with her velvet-voiced renderings of vintage jazz and blues standards, novelty songs, as well as contemporary ballads and upbeat tunes. Her performances bring the sound and soul of beloved, departed artists back to life, such as Karen Carpenter, Sarah Vaughn, Billy Holiday, Rosemary Clooney, Polly Bergen and others. Internationally-published playwright, LB Hamilton, has employed Jennifer's talents on more than one occasion for works specifically written for her. Two of Ms. Hamilton's recent musical mystery dinner theater plays, "Wild About Harry" and "LaProblem in LaPlata" featured Jennifer in principle roles. However, it is the one-woman, autobiographical, multi-media, musical cabaret sensation, "Go-DIVA! ~ of Song, Silence, and the Abuse of Chocolate", (written and directed by Hamilton) that has taken the region by storm as Jennifer, pianist Michael Santana, and the rest of the Go-DIVA team continue to tour this extraordinarily entertaining and infinitely inspiring production. If you are seeking a genuinely professional and extraordinarily talented artist and/or a fully produced, unique, exciting and inspirational show... Jennifer Anne Cooper and her Go-DIVA Productions team will exceed your expectations every time.